Jasper is a member of the chalcedony family of gemstones. The name is of Greek derivation meaning spotted stone. Throughout history, it has been used for cylinder seals, intaglios, cameos and for amulets. Today we use jasper for ornamental objects, mosaics and cut in cabochons or as beads for jewelry. Varieties are named by the appearance of the stone, the locality where it was mined or its composition. The names tend to change with fashion and are somewhat arbitrary. 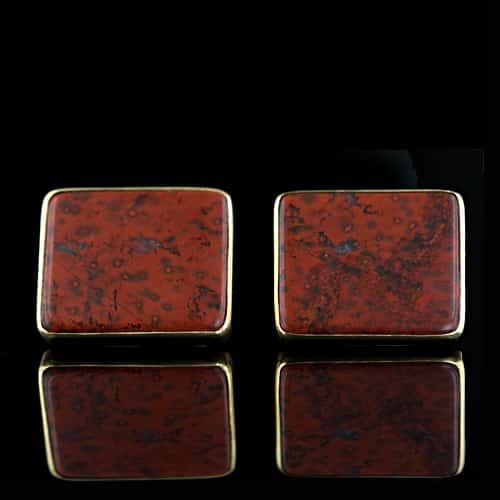 Some familiar varieties would be moukaite, picture or scenic jasper, ocean jasper and leopard jasper.